The delicious crackle as you open it for the first time; burying your nose in the pristine pages; the perfect font, exquisitely laid out – a new book is a most sensual object. 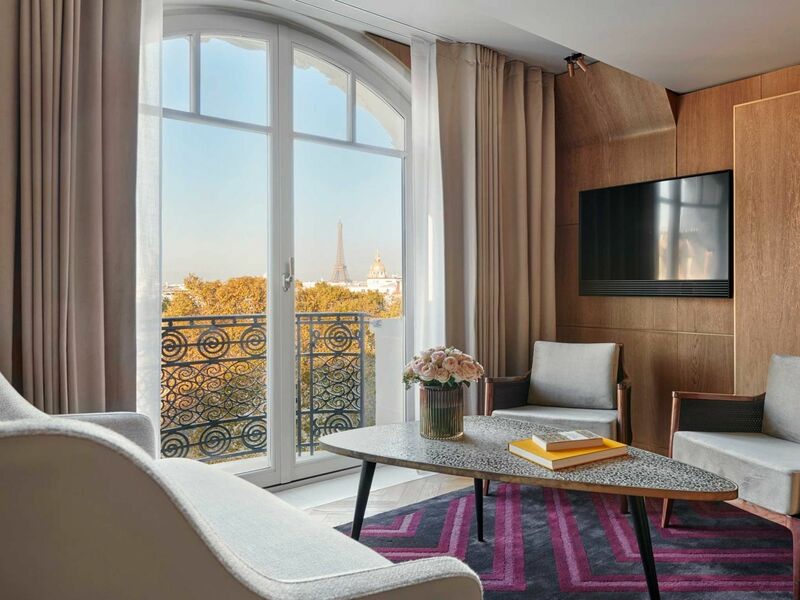 So is the new Eiffel Writer's Suite. Don't bother reaching for the lights. 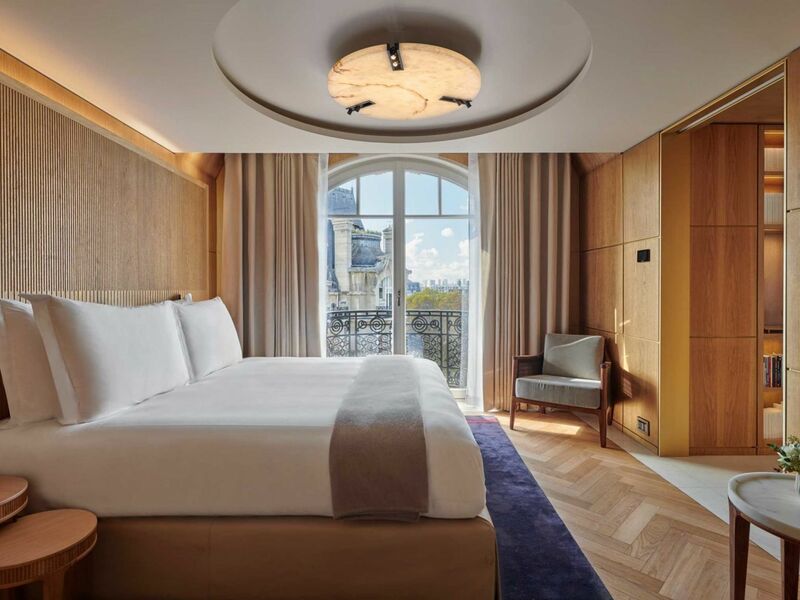 Your Paris home is already aglow, sunlight pouring though the balconies into rooms bright and fragrant with golden oak. 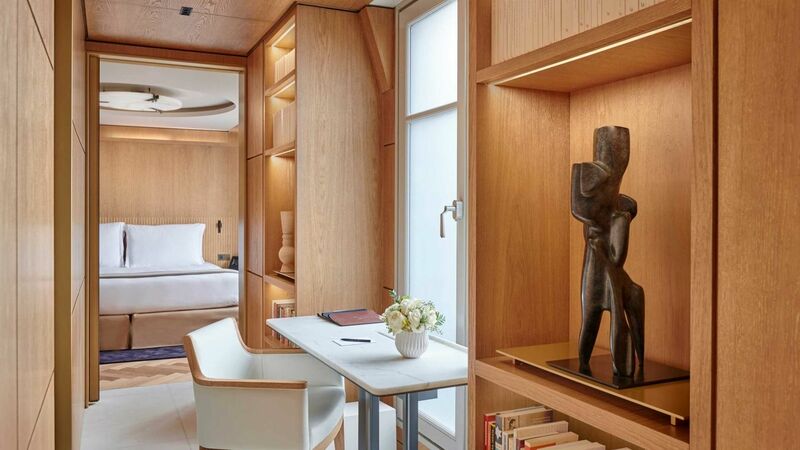 Choosing which to stretch out in first is the challenge: the plush living room, ready to host your next soirée; sumptuous bedroom, leading to acres of bookshelves; the generous, hand-carved marble tub, across from matching sinks? It's no easier, picking your favourite balcony for a morning espresso. 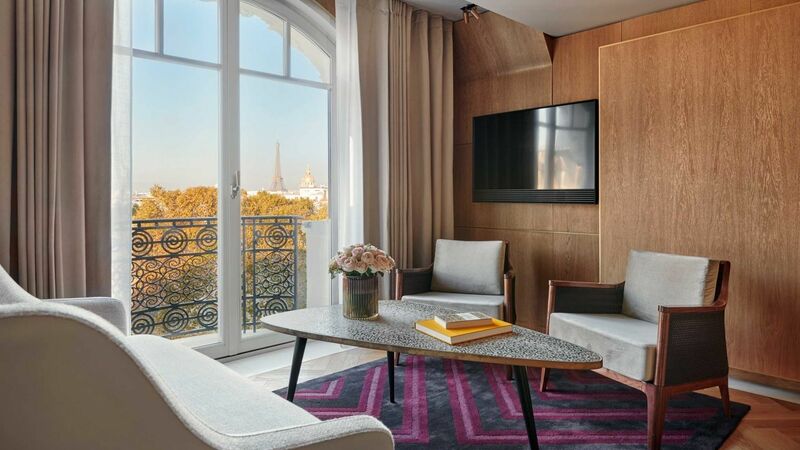 One thing's certain – the best view of the celebrated parks, boulevards and skyline is from your writing desk, facing the Eiffel tower. 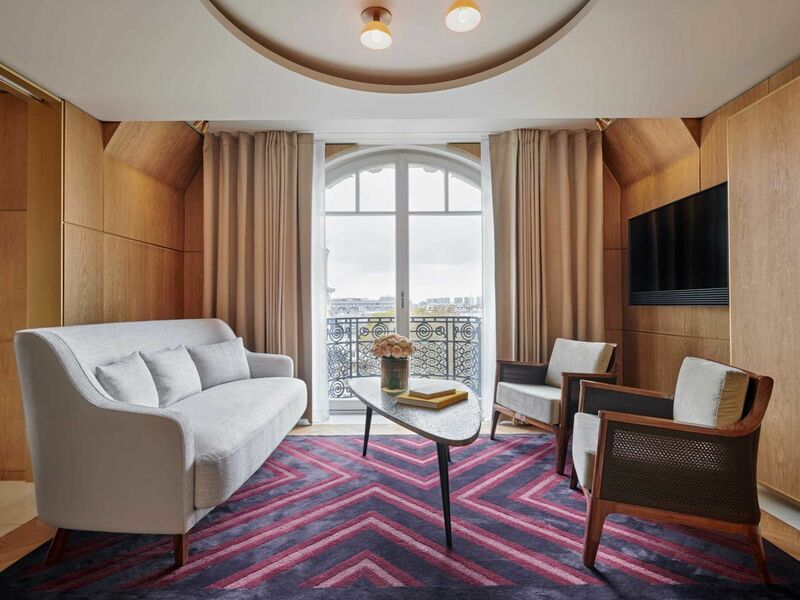 From this exceptional address in the heart of the Left Bank, it's an easy stroll to the city's renowned bookstores, literary cafes and the esteemed universities of Saint-Germaine-de-Prés. 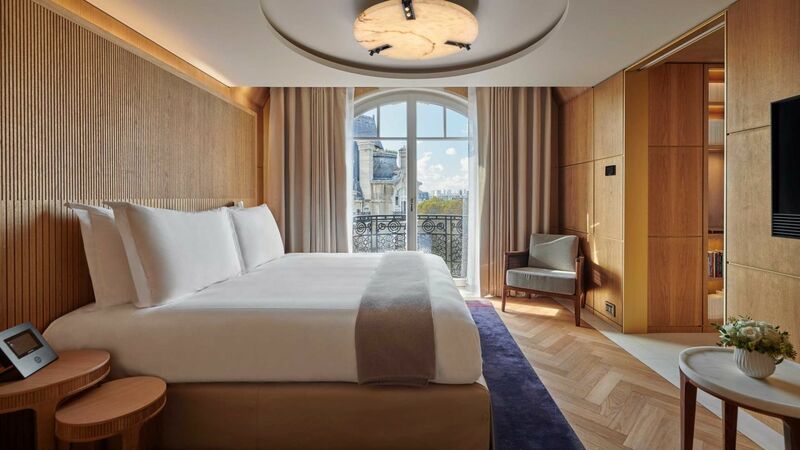 Still, with such agreeably furnished premises, some of your favourite days in Paris may be spent in the suite, curled around a good book. Your study's carefully curated library includes tempting titles, plus shelves for the ones you'll discover at book sellers along the Seine. 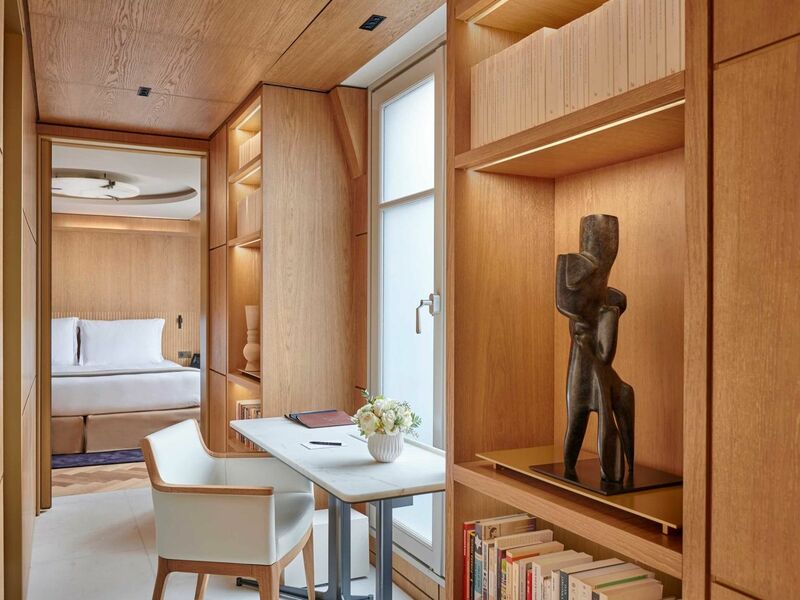 This suite offers one literary opportunity that even the Left Bank's majestic reading rooms can't match: a lazy afternoon, reading in the bath. 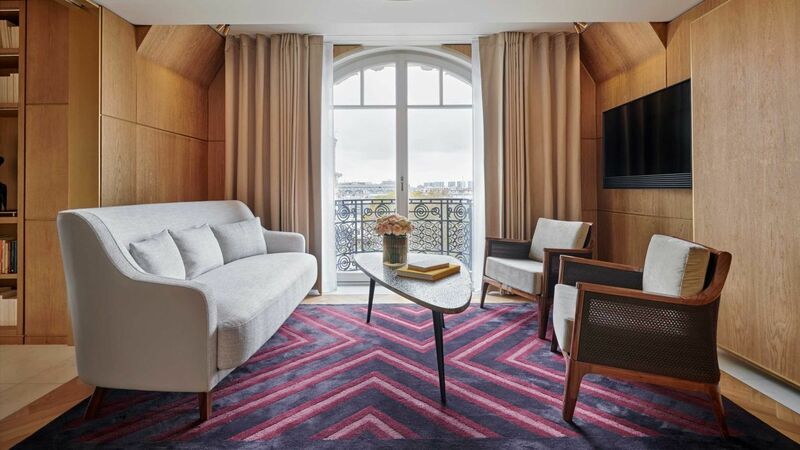 Little wonder the likes of Hemmingway and Joyce didn't simply visit the Lutetia, they moved in. You can too, and write your masterpiece while staying in one.